It was 1964 when C.J. & Faye Mowell decided to move to Fayetteville, GA, and Carl J Mowell & Son Funeral Home was established. The first year, the funeral home received two calls, followed by only eleven the next year. Even so, they managed to raise four children - Becky, Beth, Ferrell, and David - upstairs, while maintaining the business downstairs. Through countless hours and the love and support of this community, they followed God's direction and built this business into what it is today. 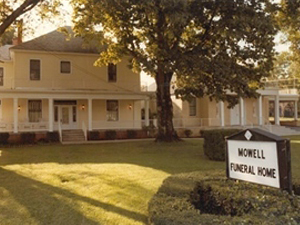 In 1979, the funeral home expanded by adding more space and the chapel. This broadened our services even more to the families in our community. In 1995, on a step of faith, a second funeral home was built in Peachtree City. This branch gave us a new opportunity to serve families in this ever-growing part of Fayette County. 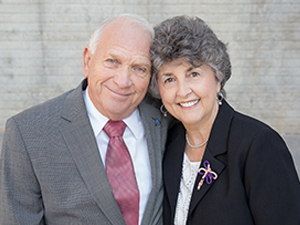 Through relationships and trust, Mowell has become a vital part of this community. Over 325 families were served out of both locations in 1999. 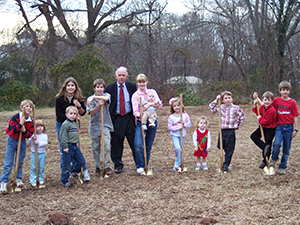 In 2006, our biggest step of faith was taken by building a new, more spacious funeral home to better meet the needs of each family we serve. This new 26,000+ sq ft. facility, built behind the existing chapel in Fayetteville, enabled us to grow, along with Fayette County ,and maintain our personal touch as we meet the needs of the families we serve. 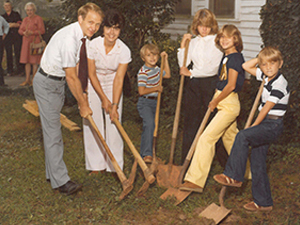 As we have grown and expanded over the last 50 years, our family has always given that "personal touch" to each service. As we look to the future and to our part in this community, again we are proud to know that our family will continue to serve your family.